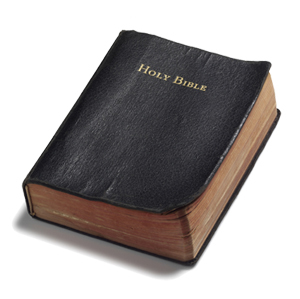 * I believe the Bible to be the inspired, infallible, authoritative, and inerrant Word of God. I believe that the Scriptures were preserved by God through the Manuscripts contained in the Textus Receptus, which comes from the Majority/Byzantine Manuscript Family. This is the family of manuscripts that are behind the KJV and the NKJV of the Bible (II Timothy 3:15-17, II Peter 1:21-22). CLICK HERE for .pdf file that explains our position on this. * I believe in a literal 6 day creation and that the world is between 6,000 and 10,000 years old (Genesis 1:1-31, Exodus 20:11). * I believe there is one God, eternally existing in three “persons”: the Father, Son (Also called “The Word”) and Holy Spirit (Genesis 1:1, Deuteronomy 6:4, Matthew 28:19, John 10:30, John 1:1-2, 1 John 5:6-8). Click Here for a video of Kerrigan teaching on the Biblical Doctrine of the Trinity. * I believe in the deity of Jesus Christ (John 5:18, John 8:58, John 10:33); His virgin birth (Isaiah 7:14, Matthew 1:23, Luke 1:34-35); His sinless life (Hebrews 4:15, 7:26); His miracles (John 2:11, John 5:1-9, John 11:38-44); His vicarious and atoning death (I Corinthians 15:3, Ephesians 1:7, Hebrews 2:9); His resurrection (John 11:25, John 20-21, I Corinthians 15:4); His ascension to the right hand of the Father (Mark 16:19, Acts 1:9-11); His personal return to the earth in power and glory (Acts 1:11, Revelation 19:11-16). * I don’t believe that babies are “born sinners” or that they are born with a “sinful nature”. I believe that babies are born innocent, not righteous or unrighteous. I believe that every man has free will and chooses to sin, at some point in time. I believe that man has chosen to corrupt himself and to go astray. Man is never forced to sin, but chooses to sin out of his own free will and that is why he will be held accountable for his sin. However, every man will sin at some point in time. I call this “universal rebellion”. Yet, this “universal rebellion” has nothing to do with they way they are born. We live in a sinful world where every man has been tempted to sin and every man has chosen to give into temptation. However, people are not held morally responsible for the “sinful” things they do until they come to the point where they understand good and evil. This is called the “age” or the “state of accountability”. It is only when people come to this “state of accountability” that they are held accountable by God for their moral choices. This is why the Bible says that people are sinners from their “youth” and not from “birth”. People are only accountable for their own moral choices. As a person chooses to sin and reject the light of nature, their conscience, the law of God written upon their hearts and the message of the Bible, they become more and more depraved. This results in them developing a “sinful nature” and becoming enslaved to sin. If someone dies before reaching the “state of accountability” (ie. a baby, a child or mentally handicapped person), they will be a part of the Kingdom of Heaven (Genesis 6:12, Exodus 32:7, Ecclesiastes 7:29, Isaiah 53:6, Luke 6:45, Romans 3:23, Matthew 18:3, Matthew 19:13-15, Genesis 8:21, Deuteronomy 1:39, Romans 9:11, John 9:39-41, James 4:17). Click Here for a video play list of Kerrigan teaching against the doctrines that say we are “born sinners” with a “sinful nature”. * I believe that men must be “born again” or “regenerated” by the Holy Spirit for salvation because of the exceeding sinfulness of man. I believe that sinners are justified on the single ground of repentant faith in the shed blood of Christ, and that only by God’s grace through repentant faith alone are we saved. Good works cannot save a sinner, forgive a sinner, make a sinner right before God, reconcile a sinner to a right relationship to God or wash away a sinner’s sins (John 3:3-5; 3:16-19;3:36; 5:24, Romans 3:23; 5:8-9, 2 Corinthians 5:17, Ephesians 2:8-10, Titus 3:5). * I don’t believe in “easy believism.” I believe that faith and repentance are two sides of the same coin. You can’t truly have one without the other. I believe that it is only a working faith, a holy/obedient faith and a repentant faith that saves a sinner from their sins, the wrath of God and from Hell. Any other kind of faith is a dead, non-working faith that will only send people to Hell in the end. Without holiness, no man will see the Lord (Matthew 3:8, Acts 26:20, Romans 6:1-23, Titus 2:11-14, Hebrews 12:14, James 2:17-26). * I believe that Christians don’t have to sin, have the power over sin and are commanded not to sin by a Holy God. A Christian can live a life of complete obedience to God, every moment of everyday. This is commonly called “Christian Perfection”, “Biblical Perfection” or “Sinless Perfection”. Christians still have the ability to sin, since they will always have free will, but it should be few and far between. It should never be a matter of “when” a Christian sins but “if” a Christian sins. A Christian definitely shouldn’t be sinning daily. Sin should be the exception in the Christian’s life, not the rule. We can do all things through Christ, who strengthens us. If we walk according to the Spirit, we will not fulfill the lusts of the flesh. If we abide in Christ, we will not sin. If a Christian really loves God, they will obey Him. God’s commandments are NOT a burden to keep. When God commands us to do something, He gives us the ability to be obedient. IF a Christian sins, they have an advocate with the Father, Jesus Christ the Righteous One (Matthew 5:48, John 5:14; 8:11, John 14:21, 1 Corinthians 10:13, Philippians 4:13; 1 John 2:1, 1 John 2:3-6, 1 John 5:3-4, Galatians 5:16, 1 John 3:6). Click Here for a video play list of Kerrigan teaching on “Biblical Perfection”. * I believe that disciples of Jesus Christ should follow the path of non resistance and seek to be at peace with all men. Christians are to forsake retaliation, self-defense, vengeance, war and physical fighting of any form. Christians are to love their enemies and, if necessary, sacrifice their lives for their enemies just as Christ did for his. Killing people for any reason, including loyalty to country, in defense of a country, etc. is NOT acceptable for the Christian and is NOT “loving your enemy” (Matthew 5:38-48, Romans 12:14-21, John 18:33-36). Click Here to watch a video of Kerrigan teaching on this subject in greater detail. * I believe that disciples of Jesus Christ should not swear oaths at all or pledge ultimate allegiance to any earthly kingdom. The believer’s true citizenship is in the Kingdom of Heaven and their word should be a simple “yes” or “no”. Believers should not say things such as “I swear” or “I promise”, for that is from the evil one and causes people to not trust their simple “yes” or “no”. We are aliens and strangers in this world (Matthew 5:33-37, Hebrews 11:13, James 5:12). * I believe that Christ died for every sinner and that it is God’s desire that every sinner to be saved. God takes no delight in the death of the wicked, but rather that they turn and live. However, even though Christ died for all and God wants all to be saved, the provisions of Christ’s atonement are applied conditionally upon the sinner’s repentance, faith and perseverance in holiness to the end. In other words, only those who repent of their sins, trust in Christ and persevere in holiness until the end will take part in the forgiveness offered through Christ’s shed blood. Without the shedding of Christ’s blood, there is no possibility for forgiveness of sins (Ezekiel 18:23, Ezekiel 33:11, 1 Timothy 2:3-6, 2 Peter 3:9, Matthew 24:12-13, Hebrews 9:22). Click Here for a video play list of Kerrigan teaching on the Atonement. * I believe that God is drawing all men near, that He commands all men, everywhere to repent and that the Holy Spirit is convicting the whole world of sin, righteousness and judgment. The problem isn’t whether God is drawing them or not. 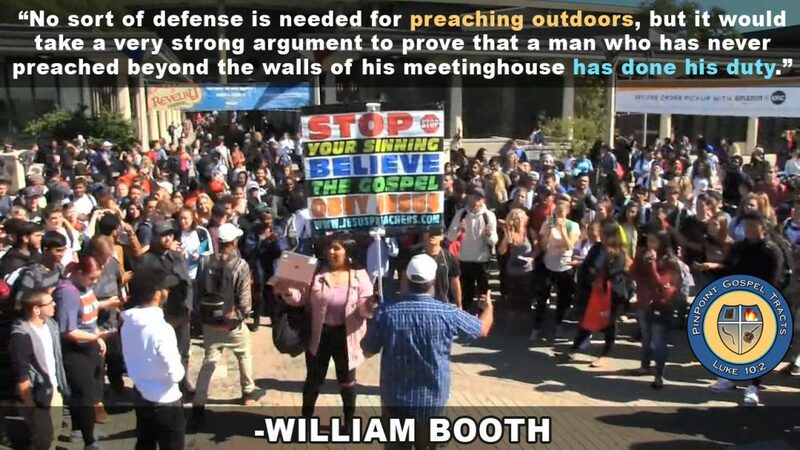 The problem is that men are resisting God’s drawing, God’s grace and the conviction of the Holy Spirit. To be saved, a sinner must simply surrender his whole life to the conviction and drawing of the Holy Spirit and then begin to live a life of holines unto God (Matthew 22:2-10, Matthew 23:37, John 1:9, John 12:32, John 16:7-11, Acts 7:51-54). * I believe that while Baptism doesn’t “save” a person or make a person born again (baptismal regeneration), it is much more important then the modern “American Church” makes it. In the modern “American Church”, the altar call, praying a prayer and many other things have overtaken this Biblical mandate. NOWHERE in Scripture will you see a lost sinner commanded to “pray a prayer” to be saved. They are always told to repent, believe and be baptized. Every believer that is able, should be Baptized as soon as they are able (after being examined by Church leadership of course), not when there is a “quarterly baptism” or when the Pastor is “ready” (Matthew 28:19-20, Acts 2:38, Acts 8:26-39). * I believe that true Christians have the ability to backslide, depart from the faith, be cut off and/or fall away (this is commonly called “losing your salvation”) because they still have “free will” given to them by God. A Christian doesn’t have “eternal life” eternally until they step into eternity. Christians are on “probation” or a testing period while still on earth (Ezekiel 33:12-20, Matthew 24:48-51, Matthew 25:1-13, Romans 11:20-23, 1 Corinthians 10:5-13, Hebrews 3:6-4:1, James 5:19-20, 1 Timothy 4:1-2). Click Here for a video play list of Kerrigan teaching about “losing your salvation”. * I believe in the resurrection of both the righteous and the unrighteous; those who are righteous unto the resurrection of life, and those who are unrighteous unto the resurrection of damnation. Those who know God and obey the Gospel will reside in the Kingdom of God/Heaven for all eternity and those who do not know God and do not obey the Gospel will be punished with everlasting destruction, from the presence of the Lord and from the glory of His power. They will go to the Lake of Fire, which is also called Hell (John 5:28-29, John 11:25, Revelation 20:5-6, 2 Thessalonians 1:7-9). * I don’t believe in the “pre-trib rapture”. We believe in the resurrection of all of the Saints who died in Christ at Jesus’ second coming, along with those who are alive when Christ comes back. This will happen at the last trumpet, which is also the 7th trumpet. There will be NO “secret return” to “rapture” the Church before the 7 year period of tribulation. This would make us “Post-Trib” in our eschatological view (2 Thessalonians 2:1-4, 2 Peter 3:10-13, 1 Corinthians 15:50-55), Matthew 24:29-31), Revelation 11:15). * I believe in a literal 1,000 year reign of Christ on Earth, which happens right after the seventh trumpet and the first resurrection. After the literal 1,000 reign of Christ on Earth, Satan will be released for a short period of time (Revelation 20:4-10). * I believe that “Judgment Day” comes at the very end, even after the 1,000 year reign. This is when all of the rest of the dead will rise from Hades via the second resurrection. The ones who have their names written in the lamb’s book of life will spend eternity with Christ in His Kingdom. The rest will be cast into the Lake of Fire, where they will be punished forever and ever (Revelation 20:11-15). * I believe in the local Church and not forsaking the fellowship of the brethren. I also believe in the spiritual unity of all believers worldwide in our Lord Jesus Christ, who will be gathered together at His second coming (Romans 12:3-8, I Corinthians 12:12-13, Galatians 3:26-28). * I believe in the present ministry of the Holy Spirit by Whose indwelling the Christian is given direction in life, is given spiritual gifts and is assured of eternal life. We believe that since the Day of Pentecost that each believer is filled with the Holy Spirit at the moment of conversion and that each is given gifts of Spirit as the Spirit wills. There can be subsequent “fillings” after conversion, but we do not believe in a “second work of grace”, “entire santification” or the “baptism of the Holy Spirit” as many Wesleyan and Pentecostal Churches do (Acts 2:38, Romans 8:13-17, I Corinthians 3:16, 1 Corinthians 6:19-20, 1 Corinthians 12:1-11, Ephesians 4:30; Ephesians 5:18). * I believe it is the mandate of the whole Church to go into all the world and “preach” the Gospel to every creature, making disciples of all of those who repent of their sins, believe the Gospel and get baptized. Evangelizing the lost is done in many ways- Gospel Tract distribution, one to one conversations, small group conversations, open air preaching, charity ministry, etc. BUT, we must share the Gospel with our mouth. “Letting our light shine” will not tell a sinner how to have his sins forgiven or how to have eternal life. If we refuse to share the Gospel with sinners, we truly do NOT love them and their blood is on our hands. If we refuse to share the Gospel with sinners, we truly don’t love God, since only those who obey God truly love Him. He has given us a Great Commission and we must obey it (Romans 10:13-17, Matthew 28:19-20, Mark 16:15). Click Here for a video of Kerrigan preaching a message called, “The Cry”.